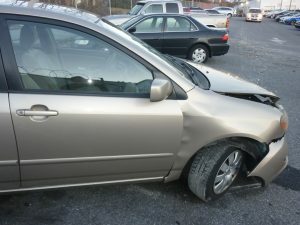 WHY SHOULD I USE MY INSURANCE WHEN I WASN’T AT FAULT? Insurance is an interesting thing. You pay regularly (monthly, or semi-annually) to protect your family when they get hurt, and to protect other people that you may accidentally hurt. However, many of our clients are steadfast in their efforts to avoid using their own car insurance at any cost, fearing an increase in their insurance rates. What’s the point of having insurance if you don’t use it when you need it? We understand the gut reaction—if I wasn’t at fault, why should my insurance pay? There are three situations where you should go through your insurance policy. Most importantly, you should know that your insurance company is not allowed to raise your premiums when you take advantage of these policies.